The Mom Standard: Celebrate Earth Day the Watkins Way! 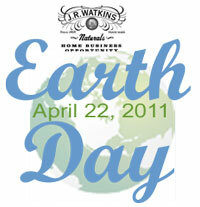 Celebrate Earth Day the Watkins Way! The need for companies to practice "green" manufacturing is more important than ever. Watkins has been a pioneer in natural living, utilizing the finest natural ingredients since 1868. We continue our commitment to you and the environment by implementing processes that reduce waste and conserve energy. Together we can make a positive impact on our environment. Offer a full line of All-Natural Herbs and Spices and All-Natural Pure Extracts. The Natural Products Association has granted J.R. Watkins Natural Apothecary products the NPA Seal of compliance. To earn this coveted seal, products must be made of at least 95% natural ingredients from renewable and sustainable resources. This highly regarded seal represents the national standard for truly natural products. This seal makes it easier to identify quality natural products. Rid your home of dirt and grime without the harsh toxins found in other all purpose cleaners. J.R. Watkins Natural All Purpose Cleaner quickly removes grease and grime from most surfaces in your home. You'll find hundreds of uses for this great streak-free, earth-friendly cleaner. J.R. Watkins Naturals formulates to the highest standards in Natural home care. The Natural Products Association has certified our All Purpose Cleaners. Streak-free formula: Leaves glass with a sparkling shine. 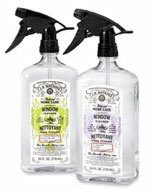 Fresh scents: Leave your home smelling fresh and clean. *Special promotions are valid April 18–22, 2011.